Are you an adrenalin junkie? Do you like challenging yourself in new situations? 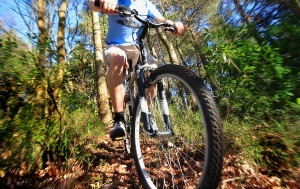 Do you like trying out new sports and exploring new places? Africa is full of amazing places for the thrill-seekers amongst you! There are lots of different places to canoe in Africa but some of the best canoeing can be found on Africa’s Great Lakes including Lake Malawi. It is a fantastic way to explore the unspoilt beaches and stunning warm water and soak up the total peace and quiet of the place. If you want a bit more excitement then you can have fun in a dug-out canoe called a mokoro on safari in Botswana exploring the waterways of the Okavango Delta. 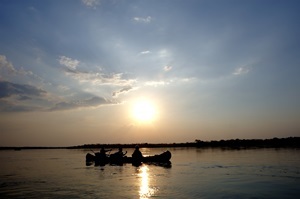 Or if that’s not enough of a thrill you can spend your time dodging hippos on the mighty Zambezi! See our Selinda Canoe Trip for a fantastic camping and canoeing safari trip. 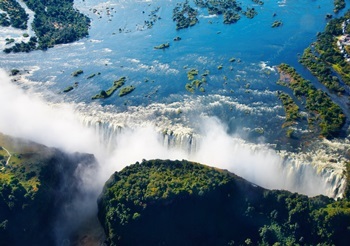 Some of the best Grade 5 rapids in Africa are on the Zambezi river as it pours out of the awesome Victoria Falls on the border between Zambia and Zimbabwe. The huge river come pounding over the wide waterfalls but then squeezes into a narrow rocky gorge giving the water immense energy and creating some world class rapids. There are plenty of companies offering rafting trips of various lengths and level of skill around Victoria Falls. 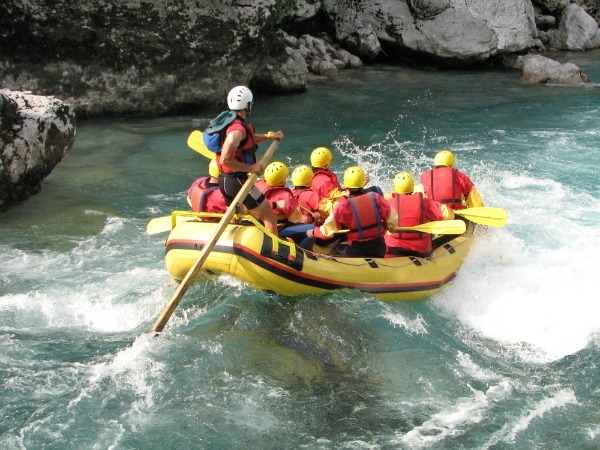 Further afield you could also tackle the infamous Horrible Horace, the Whiplash and the Four-Man-Hole – legendary rapids and cascades for white water rafting and kayaking on the Tugela in the Drakensburg Mountains of South Africa. The Orange River also in South Africa offers some fantastic rafting and kayaking hotspots too. And of course we couldn’t talk about adrenalin sports in Africa without adding in bungee jumping. Also at the world famous Victoria Falls you can do one of the world’s greatest bungees over the edge of Vic Falls itself. This was one of the earliest sites for bungee jumping after New Zealand and has been a long established attraction at the Falls. You can combine a trip here with a safari or with some white water rafting as there is plenty to see and do in the vicinity. Vic Falls bungee jump is definitely classed as one of the world’s best jumps and features on many a bucket list! Scuba Diving is exciting at the best of times but in the protected coastal waters of Mozambique you can go diving and swimming with some extraordinary animals. Whale sharks and manta rays are one of the huge attractions of the area along with the miles of unspoilt beaches and crystal clear warm waters of Mozambique. There are many dive centres and resorts scattered along the coast of Mozambique but the main place for diving with manta rays and whale sharks is Tofo. This is the best place in the world for seeing these amazing creatures up close but the marine life in these waters is unbelievable. With some of the best preserved coral reefs and unpolluted waters Mozambique really is a diver’s paradise. 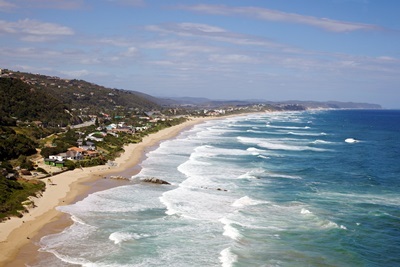 The beautiful Garden Route along South Africa’s southern coast offers incredible scenery, quaint towns, a huge variety of marine life including whales and dolphins and on top of all that some world beating surf. 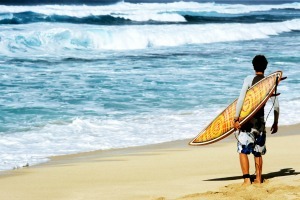 There are several bays along the Cape’s south coast, east of Cape Agulhas, that produce consistent surfing conditions including Stil Bay, Mossel Bay, St Francis Bay, Jeffrey’s Bay and Algoa-Port Elizabeth. It depends on the weather conditions as to which has the best surf on the day but with the right wind direction and a good swell these are world beaters. Jeffrey’s Bay is famous for its almost perfect tube and the area is home to a strong surfing community and also hosts several different international competitions. 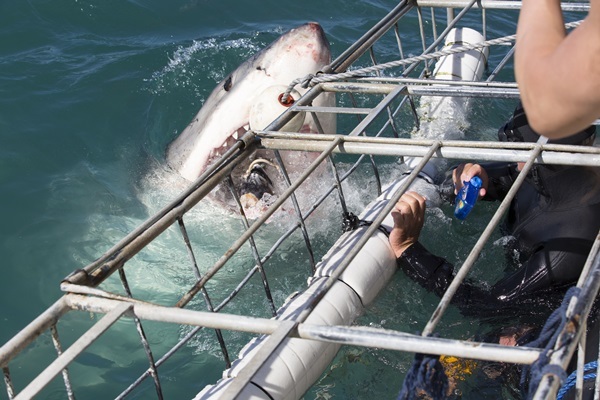 If surfing seems a bit tame then how about cage diving and coming face to face with a Great White off the coast of sunny Cape Town? This is becoming more popular year by year and there are now several different operators to choose from if you are brave enough! You can also take boat rides out to see the whales and dolphins from Cape Town. We have some fantastic accommodation on offer including top of the range luxury hotels, small boutique guest houses and self-catering apartments. The Drakensburg Mountains are a stunning range set in the north east of South Africa. The area is famous for its stunning scenery and it offers all sorts of mountain based adrenalin activities including mountain climbing, horse-riding, mountain-biking, quad biking, white water rafting, hiking and abseiling. Many adrenalin enthusiasts regard the Drakensberg’s rivers, mountains and tracks as the ultimate adventure destination in the world. The mountains themselves are stunningly beautiful and well worth a visit just for the landscape alone. You can see even more during a hot air balloon flight or a trip in helicopter both of which are also available here. You can hire bikes in several different locations in the area and most hotels will also arrange this for you and you can choose from following the trails yourself or taking a tour with a guide who can really take you off-trail! 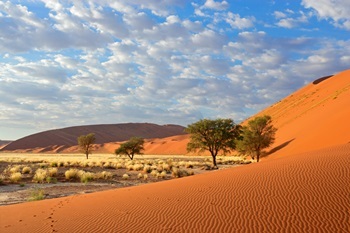 Where else could you get amazing dune buggy rides than in the stunning sand dunes and deserts of Namibia? Swakopmund is home to all kinds of adrenalin sports and you can find amongst other things on offer the chance to go dune bashing in some of the most unique scenery on earth. Some of the sand dunes are quite rightly protected as sites of special importance but there are plenty of sand dunes available for exploring on dune buggies. You can also go sky diving, hot air ballooning, boat trips to the seal colonies, sandboarding, quad biking, sport fishing and night desert walks to name but a few! 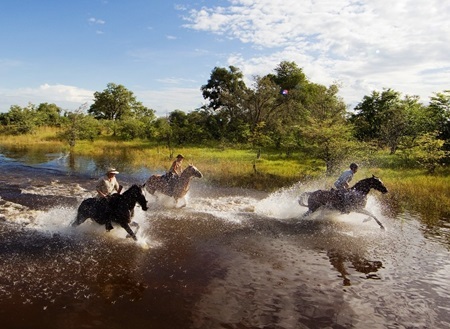 Galloping through the waterways and wide open spaces of true wilderness, Botswana offers riders an incredible experience you just cannot get in the UK. Hundreds of miles of unspoilt wildlife and scenery and not another person to be seen in any of it. No traffic, no roads, nothing to hinder you from riding free as a bird. In Botswana you can ride through the stunning Okavango Delta and enjoy a horse-back safari which is a great way to get off the beaten track and see the wildlife up close. You can also do horse-riding in many other places including across South Africa and Namibia. RAW Botswana offer terrific horseback safaris – find out more here. So instead of moaning about the rain the next time we have a wet bank holiday why don’t you book yourself a white-knuckle ride and scare yourself silly somewhere in Africa? !